EDINBURG — Former KRGV-TV anchor Cary Zayas wrapped up her first week as the city’s new public information director. Edinburg City Manager Richard Hinojosa hired Zayas last week to replace Irma Garza, who was abruptly terminated last month after more than six years as the city spokeswoman. “Based on qualifications and after the interview process, I selected Ms. Zayas for the position of director of public information,” Hinojosa said in a prepared statement. Zayas was among 40 applicants, and one of five who were interviewed for the position earlier this month. Zayas, who worked for Channel 5 News for almost 27 years, left her post there at the end of February amid rumors she would land the spokeswoman position in Edinburg. Zayas, however, denied that was the case when interviewed Wednesday. Her starting pay was set at $95,000. “Which is actually less than what I was earning at the station — a substantial amount less — but it gives me a little more flexibility for my kids,” Zayas said. This will be her first position working in the public relations sector, but she believes the transition is a natural fit. 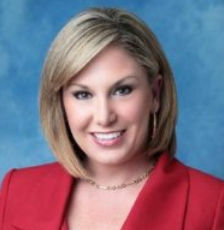 Garza, the previous spokeswoman, was an anchor for KGBT-TV before joining the city. Zayas said she looks forward to learning about the city and its operations, as well as spending quality time with her daughters. “I think this is the perfect job for me at this time of my life, and my children are beyond thrilled that I’m home for dinner,” she said.